Other: 5 x "Zorro I" slots. Officially, there's no such thing as Zorro I. However when Zorro II was released, the side expansion slot on the A500 and A1000 was retrospectively referred to by some as a Zorro I slot (albeit incorrectly). 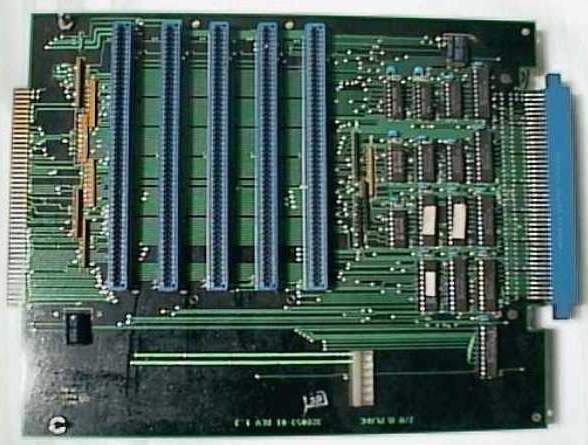 In other words, it appears to be an adaptor which is designed to extend the side expansion slot of the A1000 into a series of "Zorro I" backplane slots. Apparently the card can also be plugged into a genuine Zorro II slot to provide the same functionality.